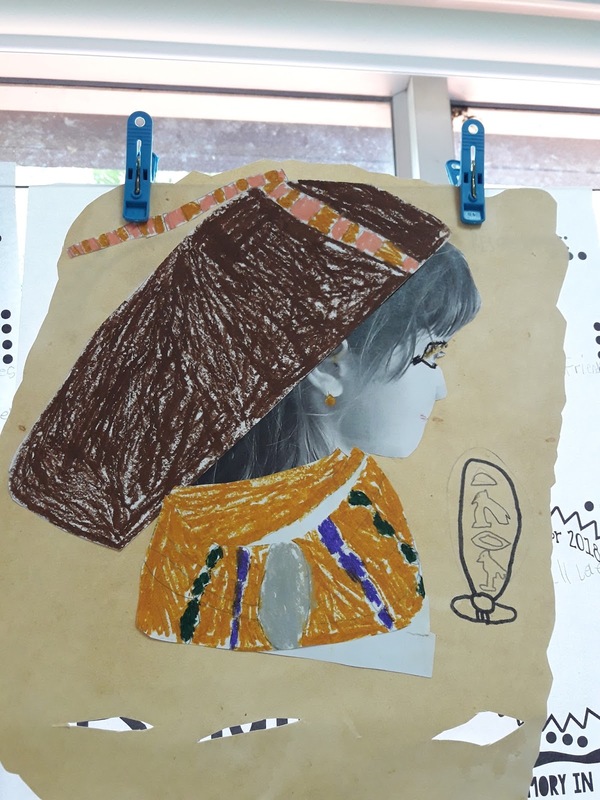 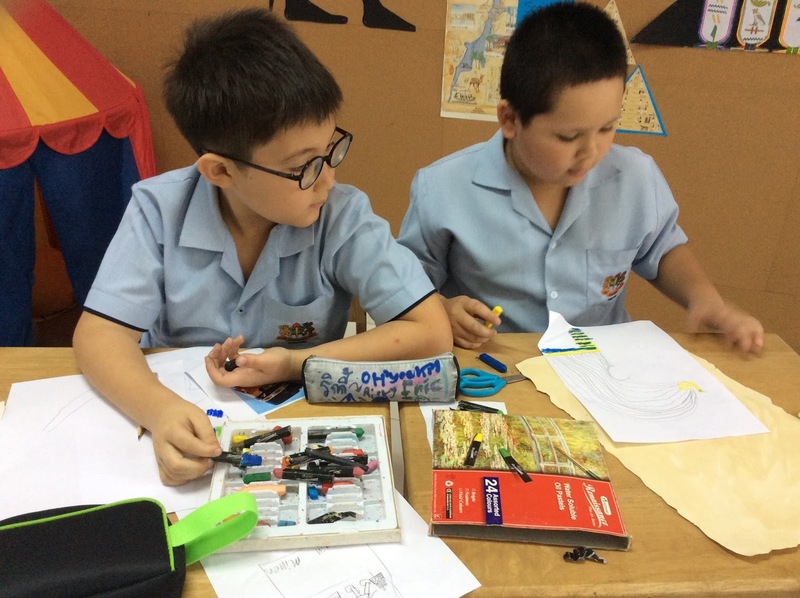 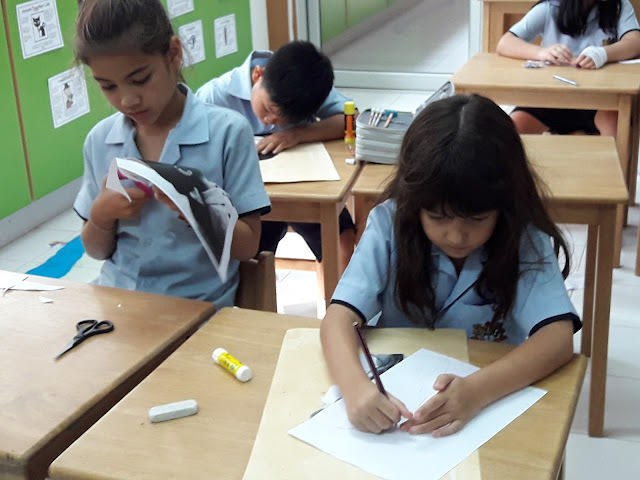 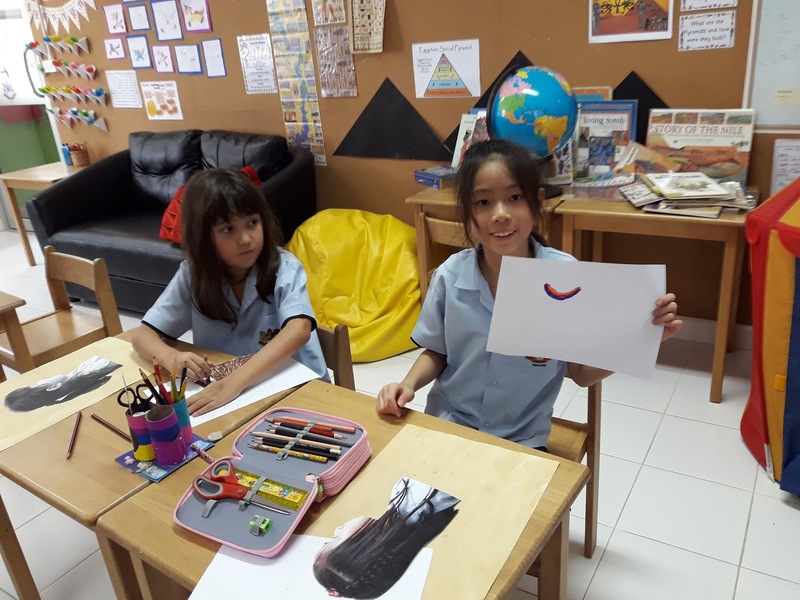 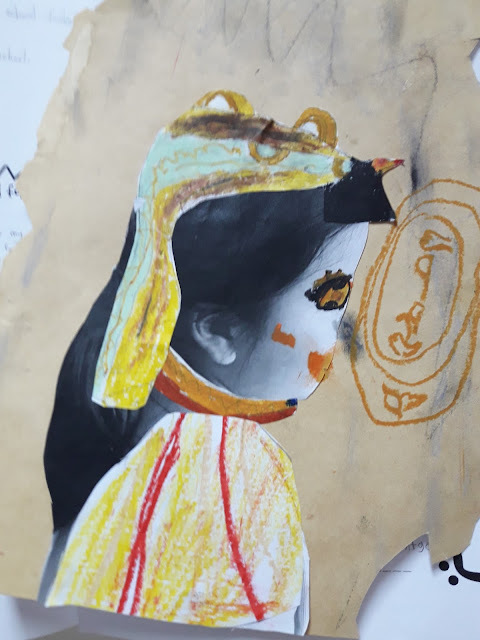 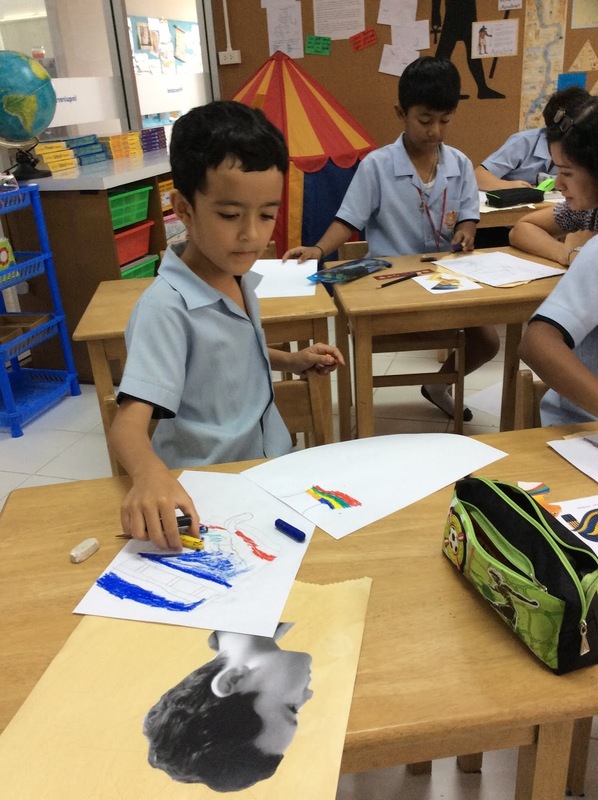 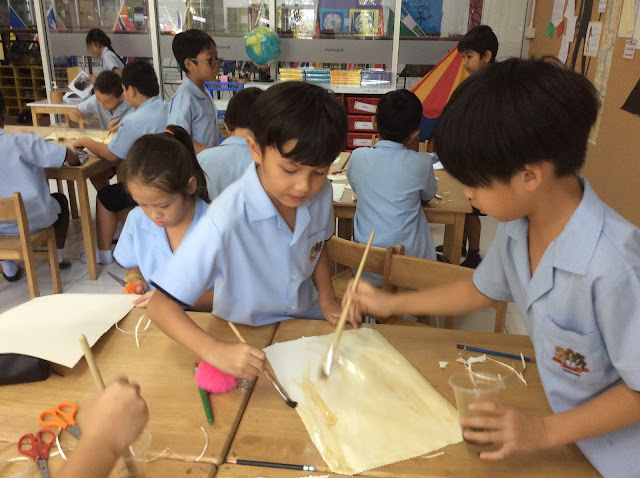 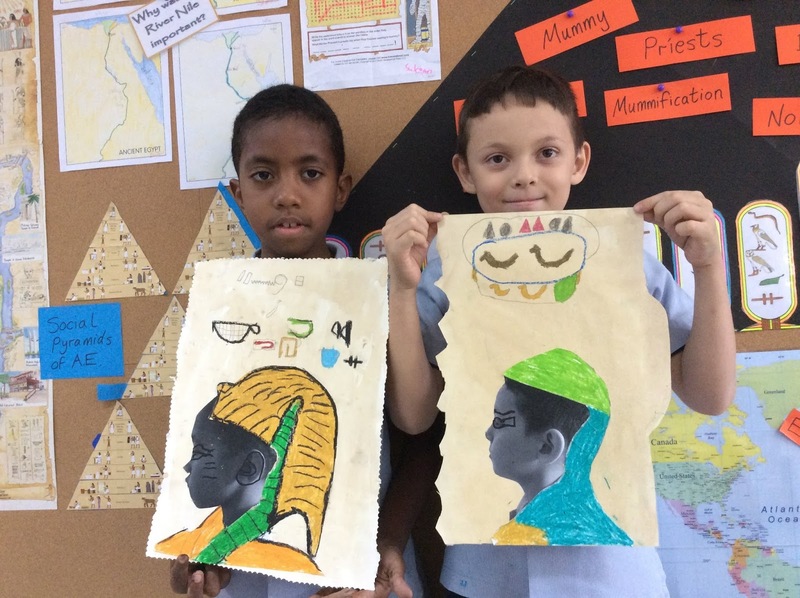 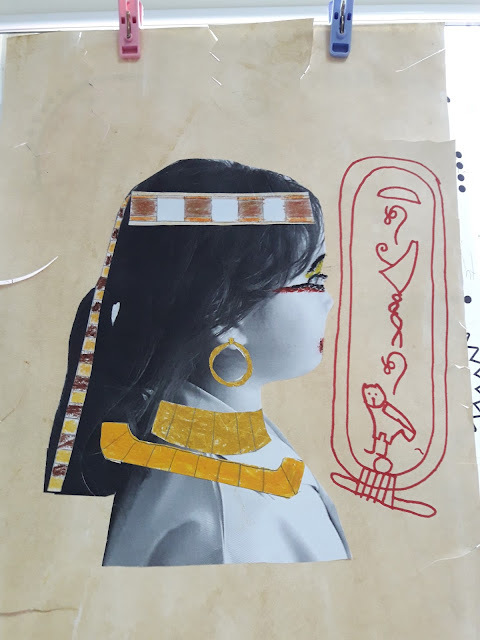 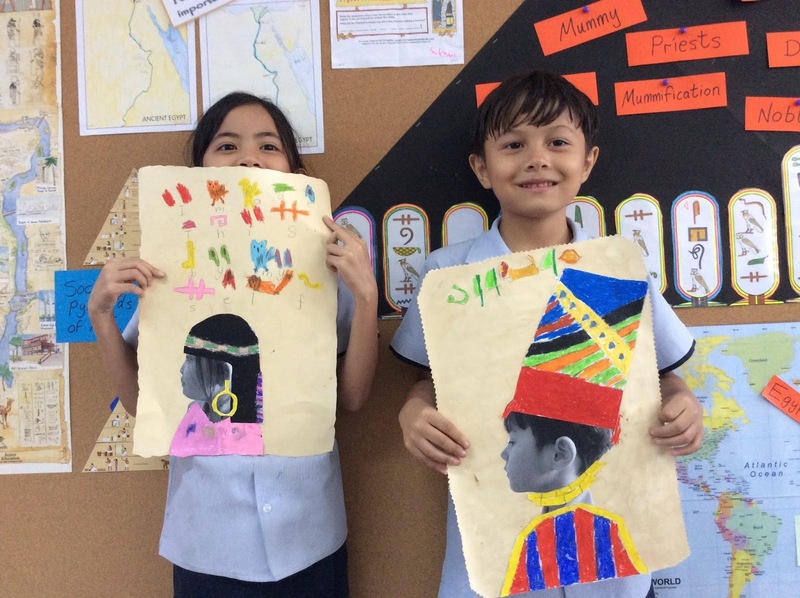 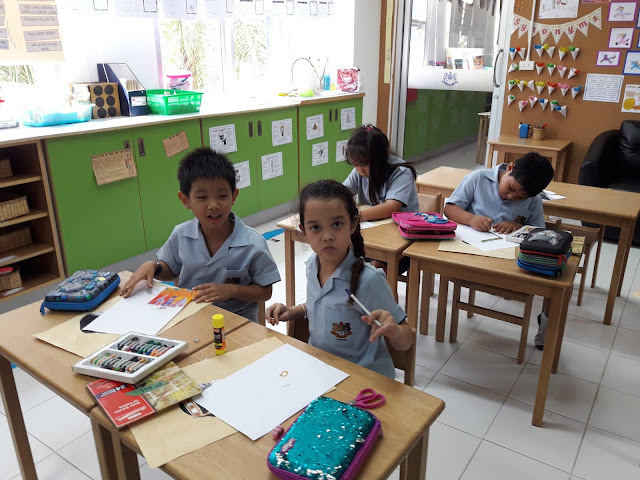 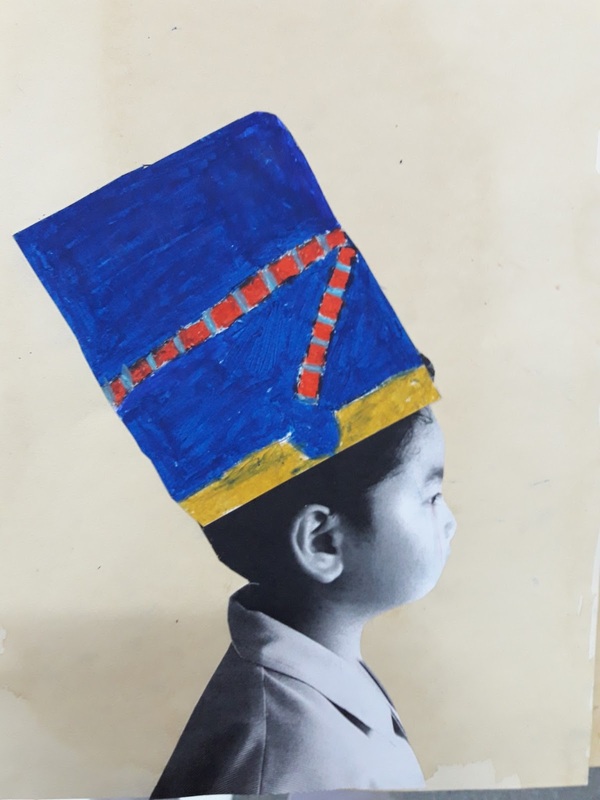 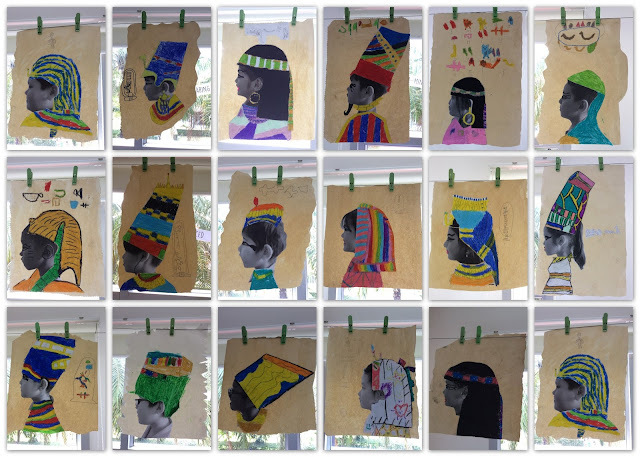 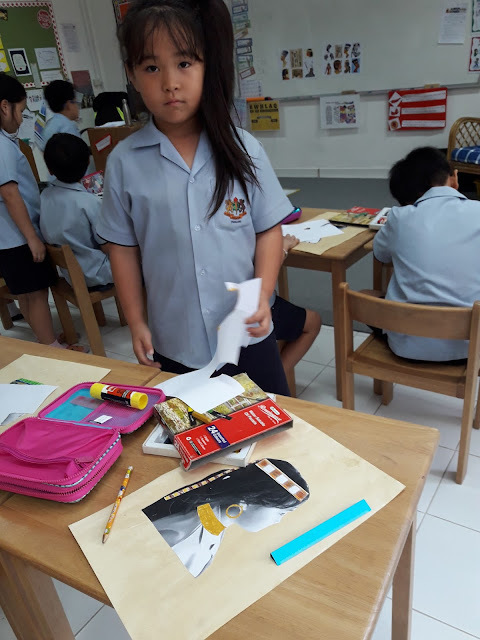 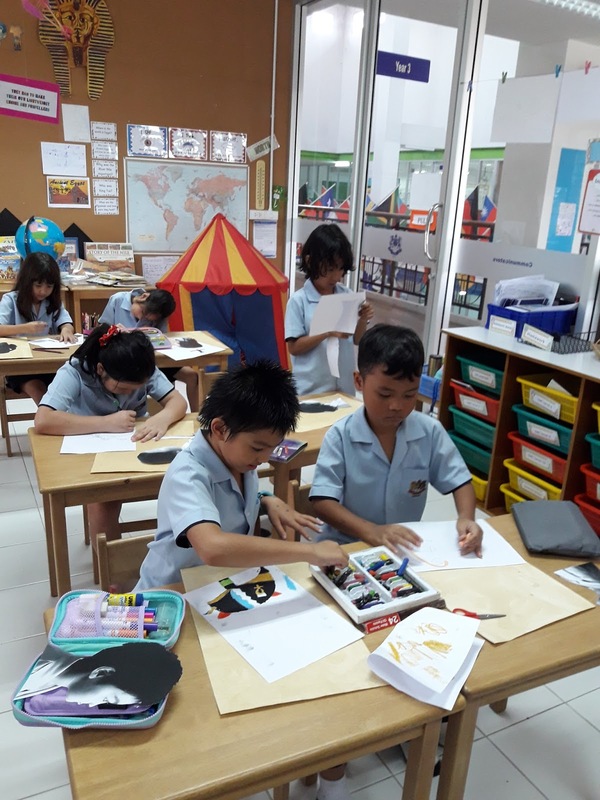 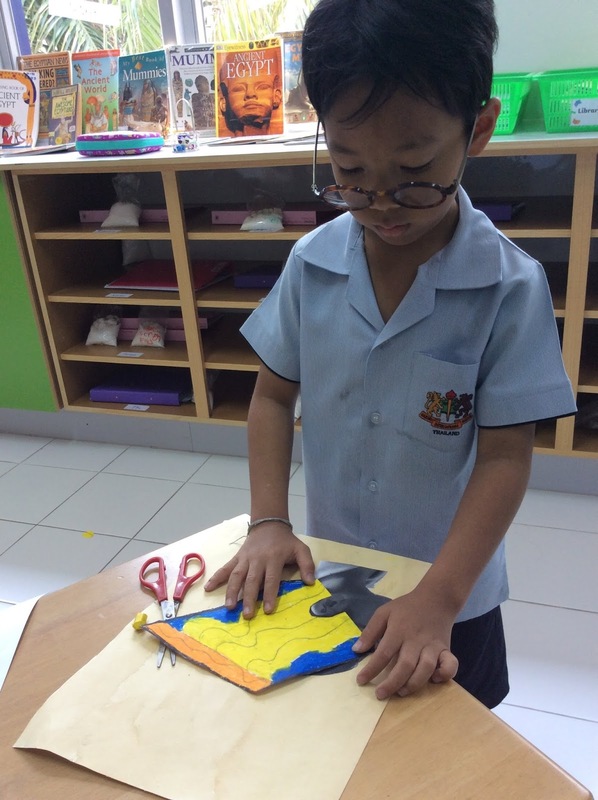 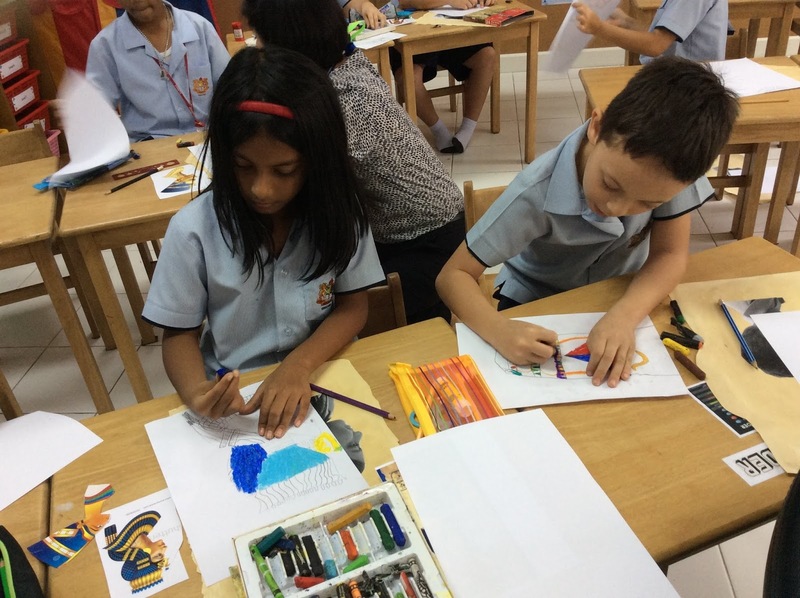 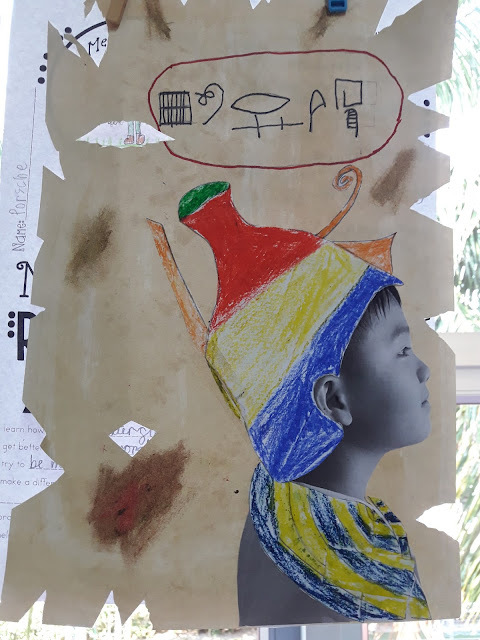 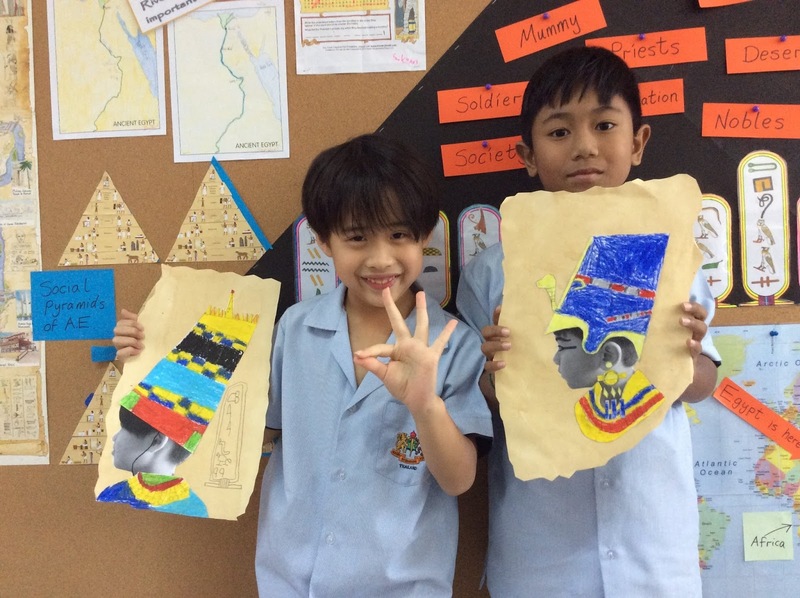 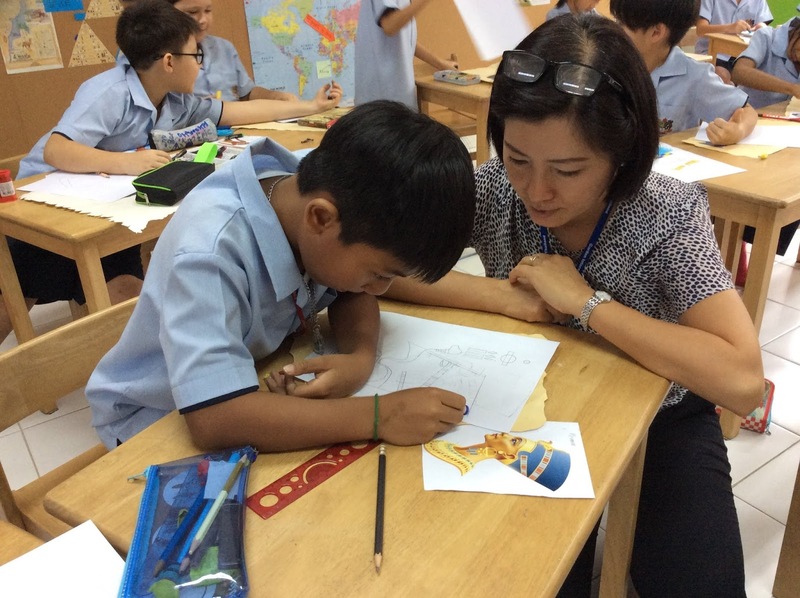 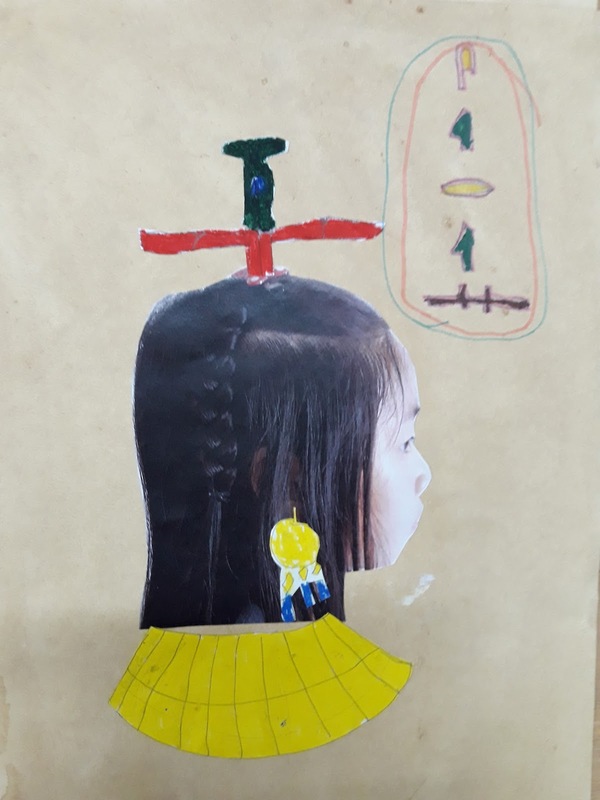 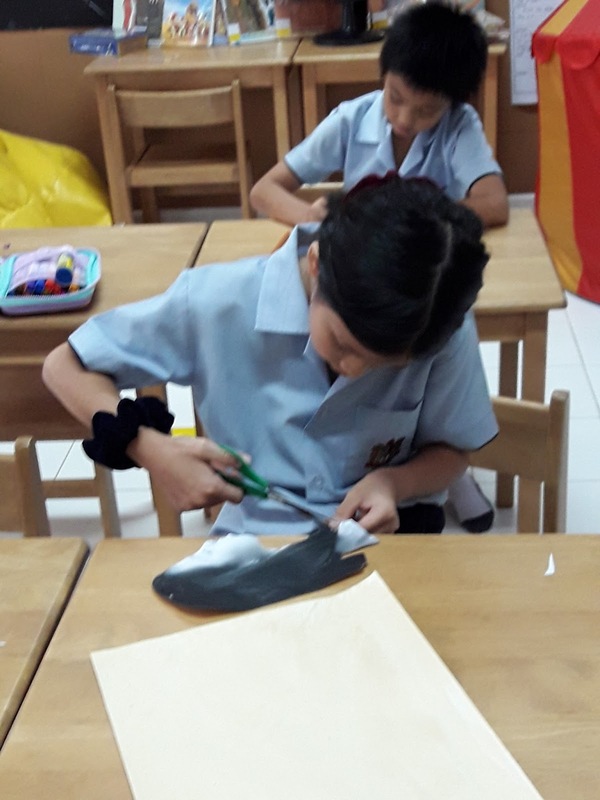 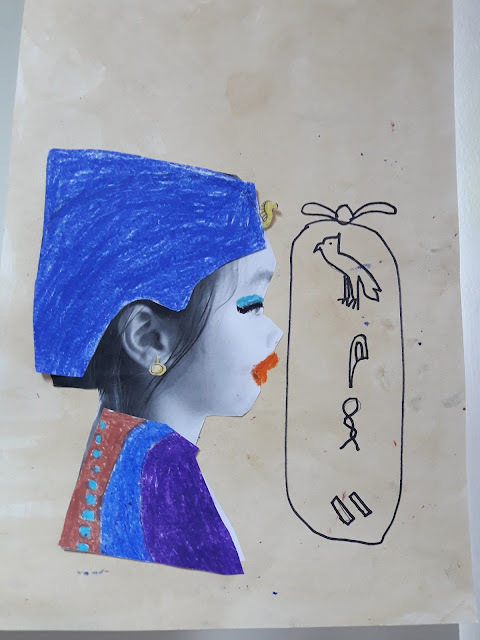 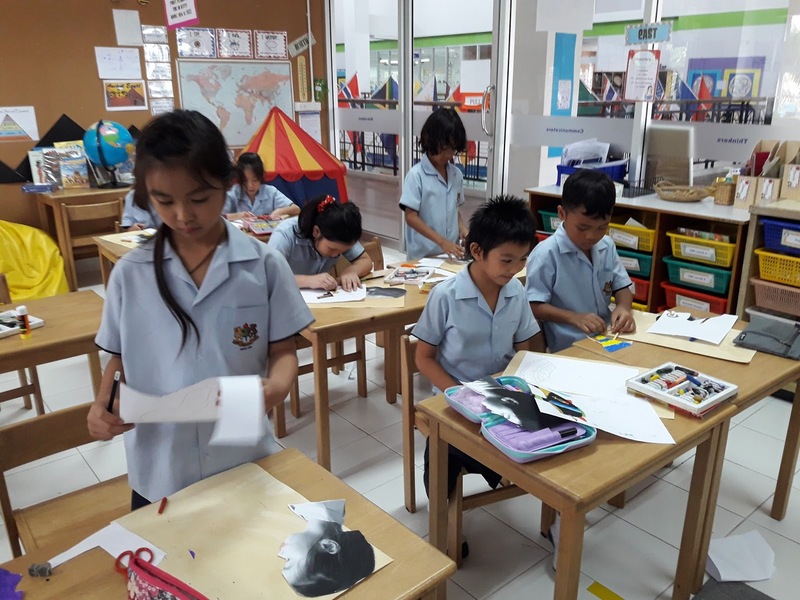 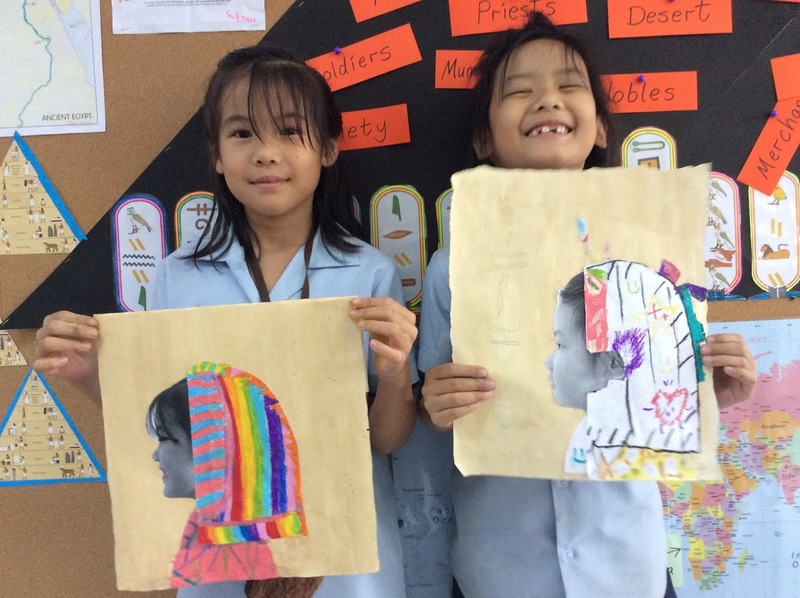 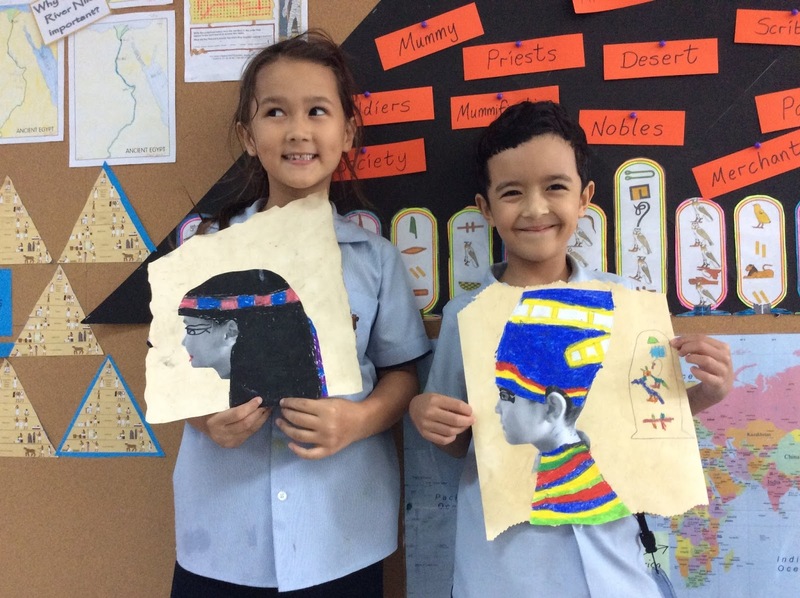 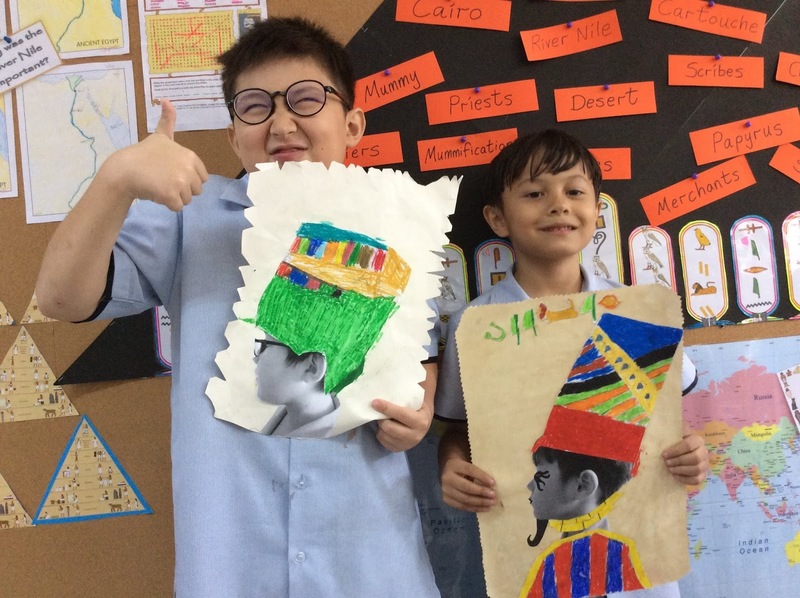 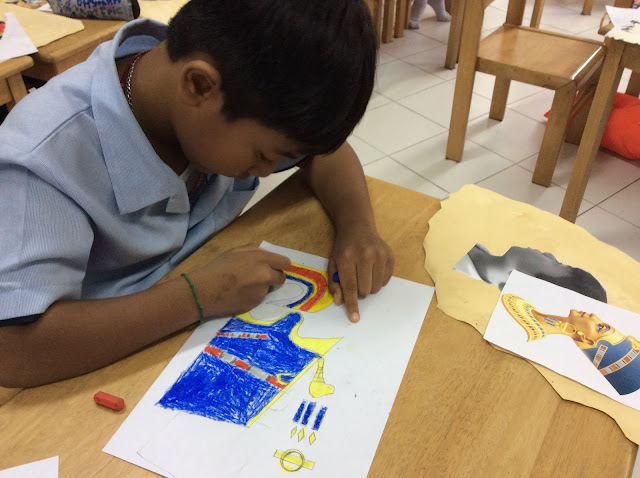 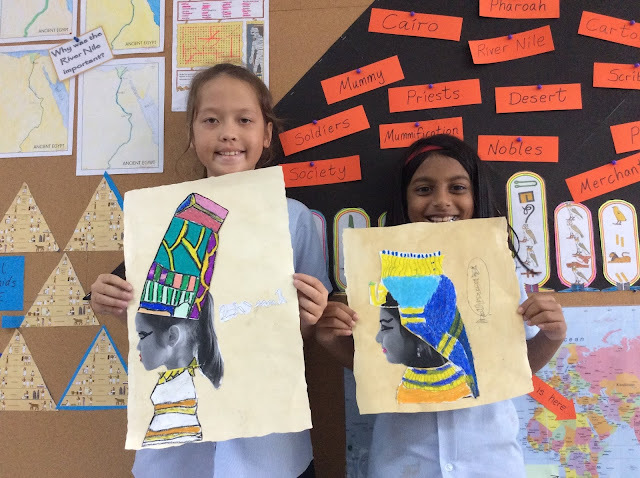 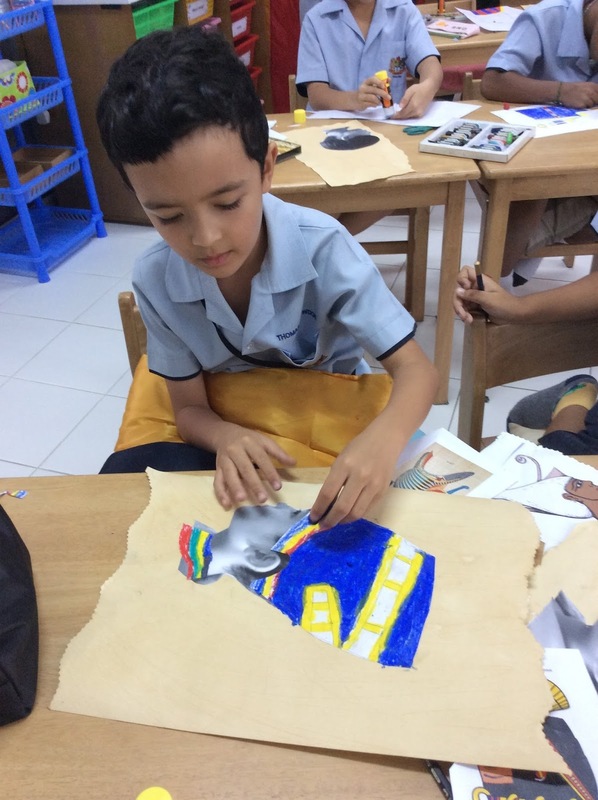 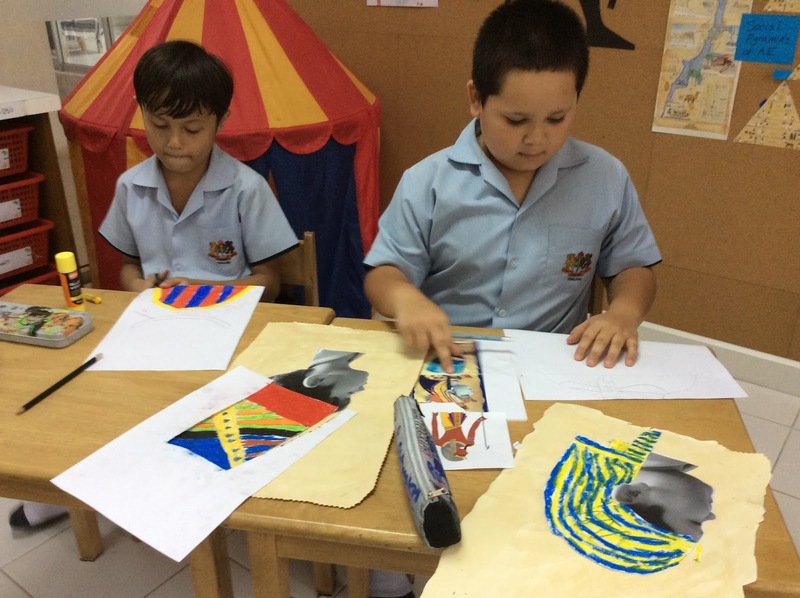 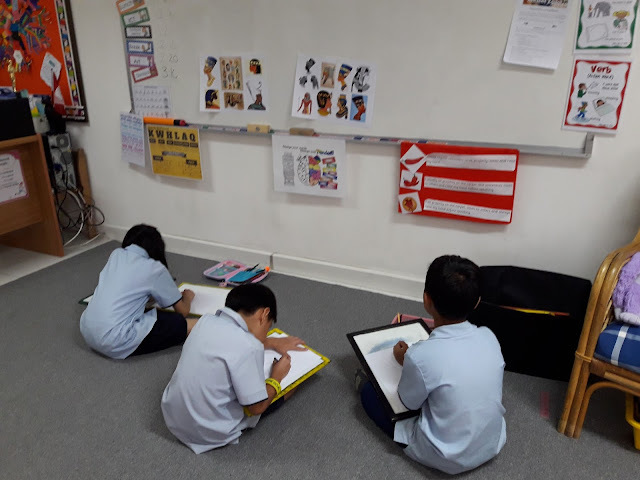 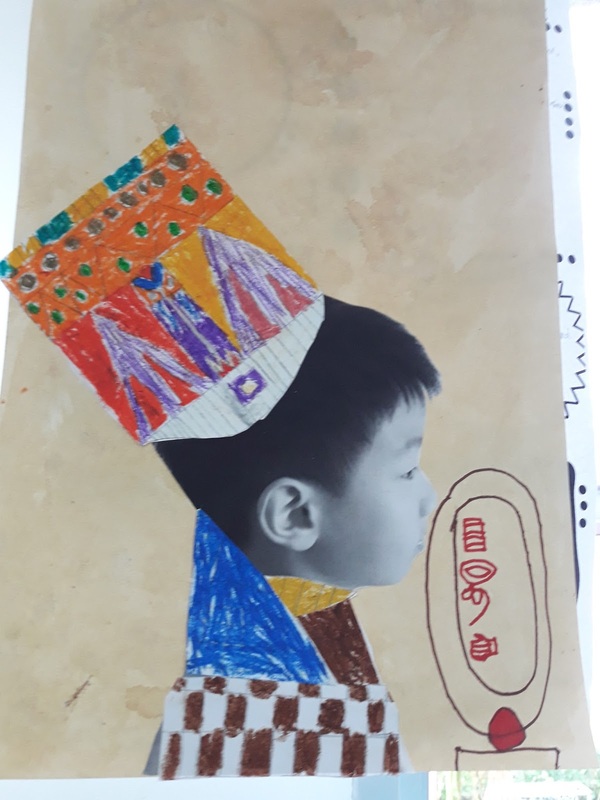 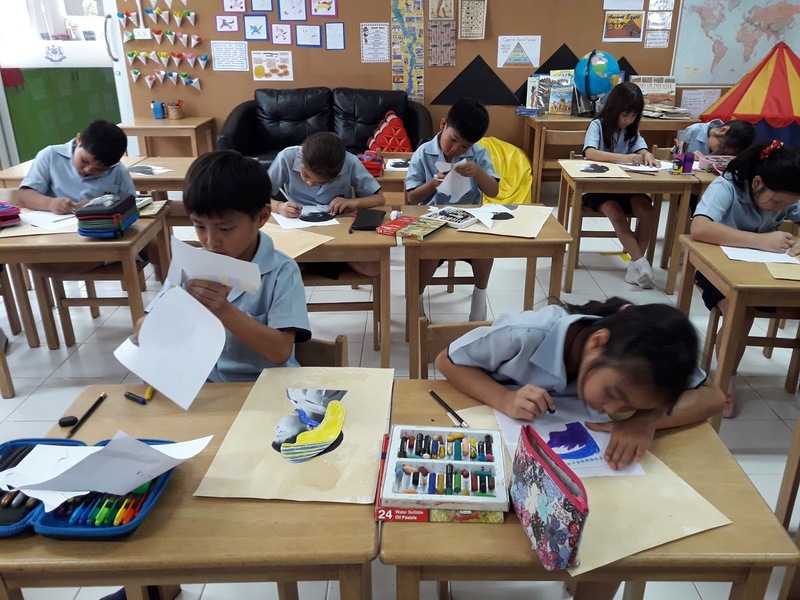 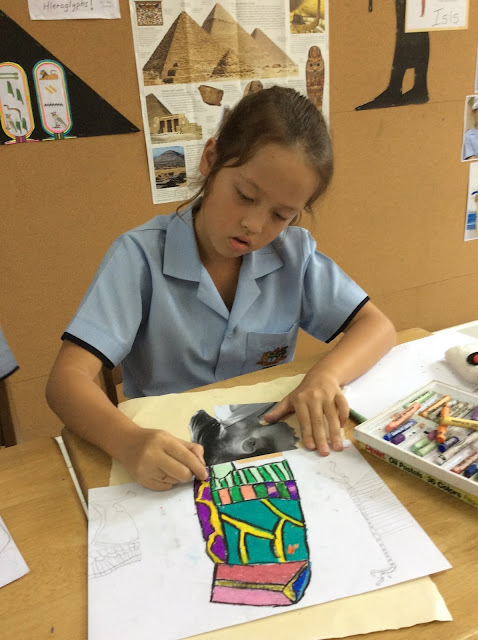 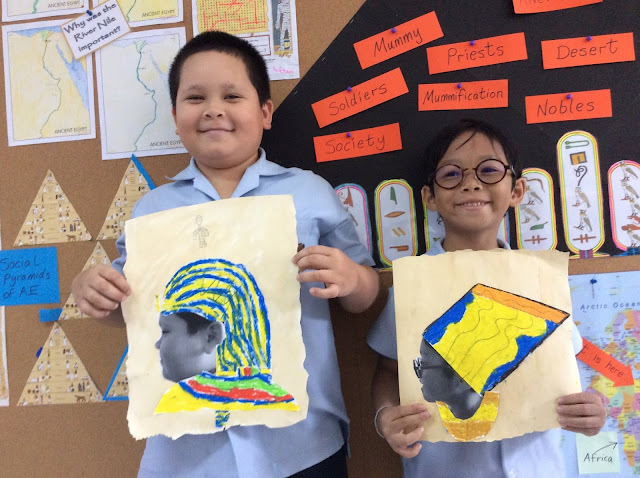 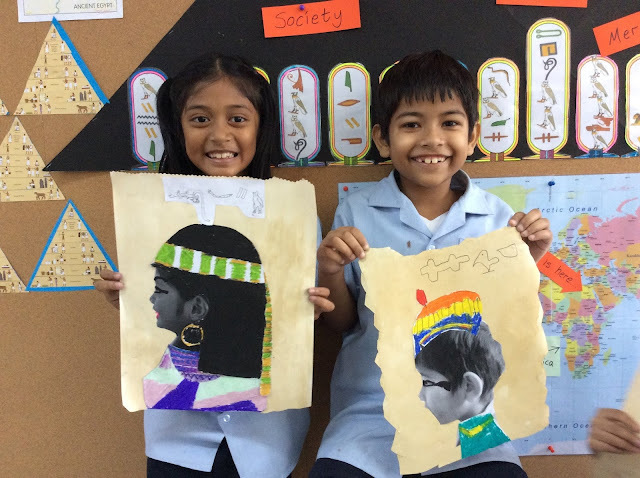 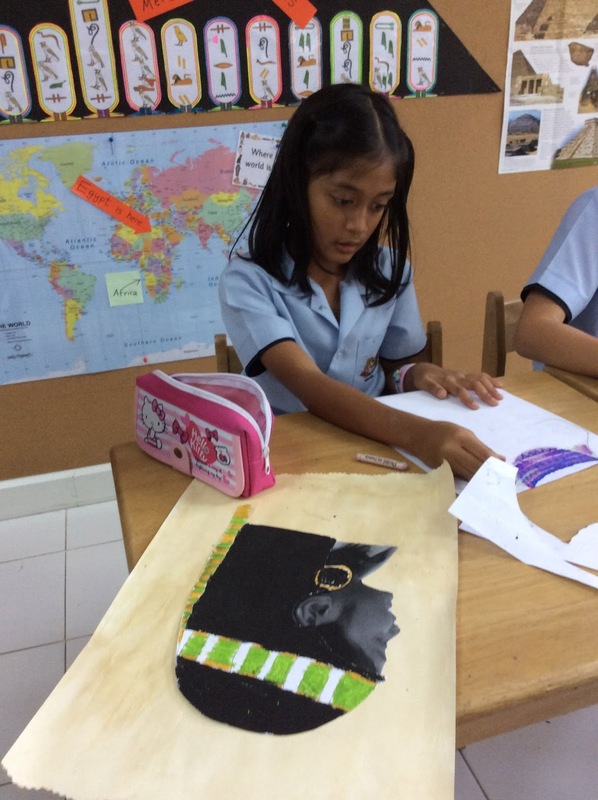 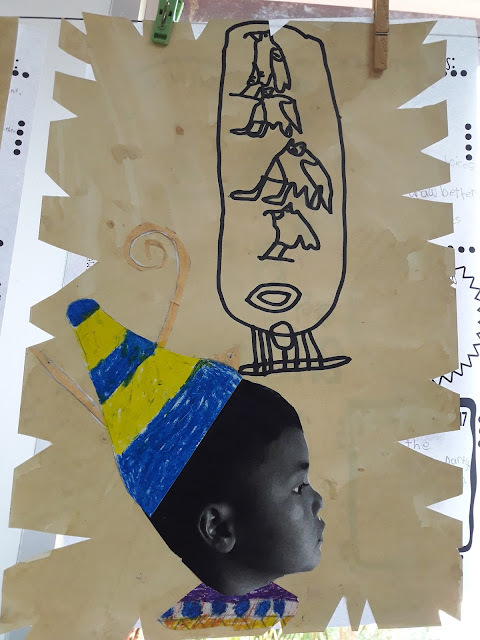 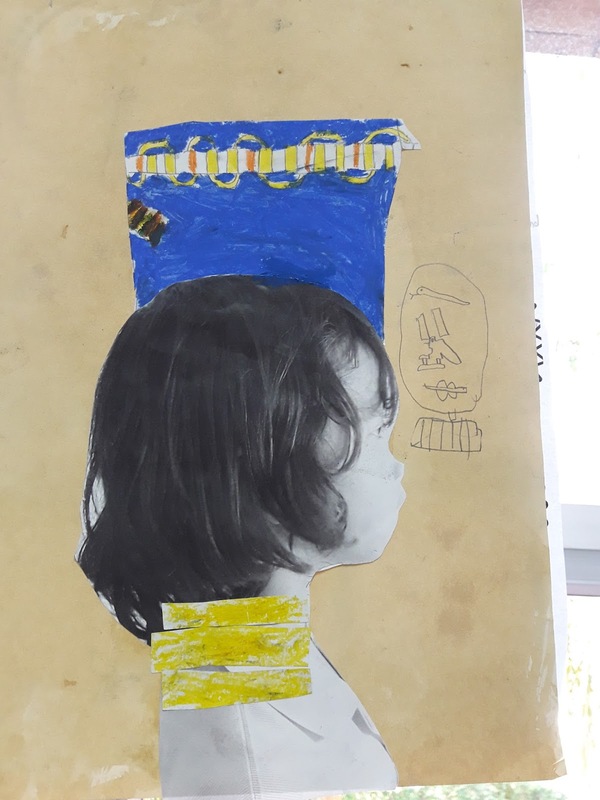 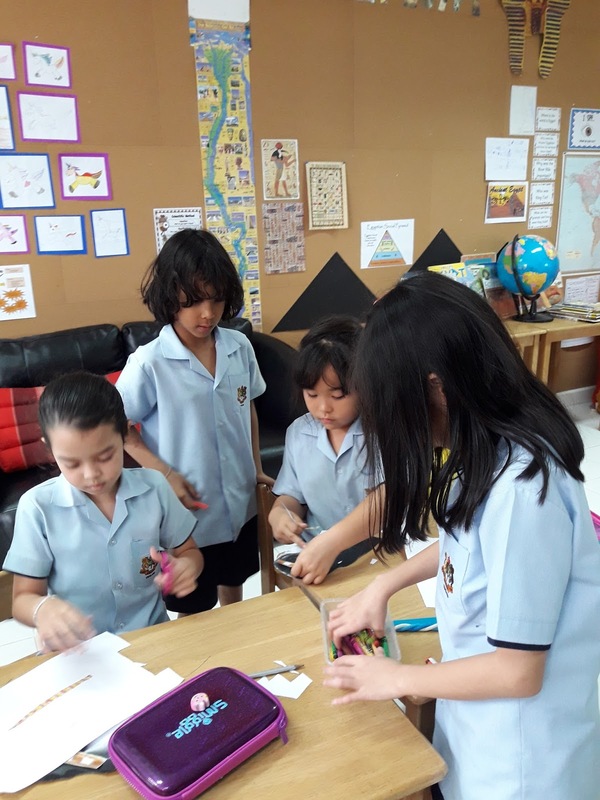 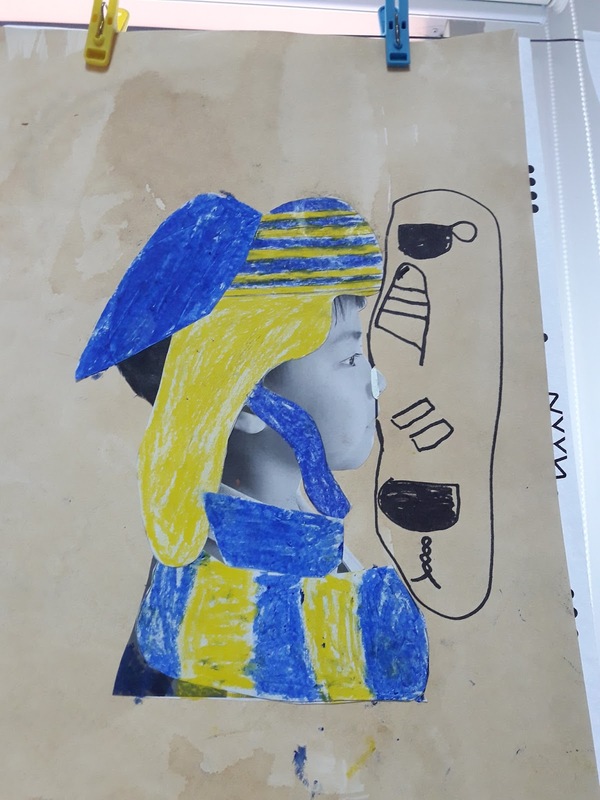 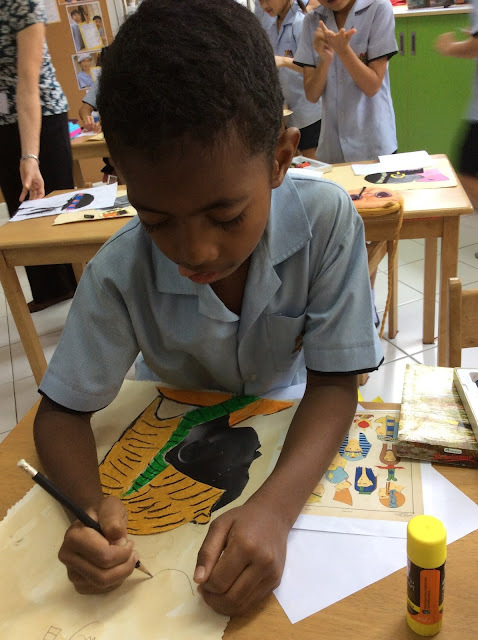 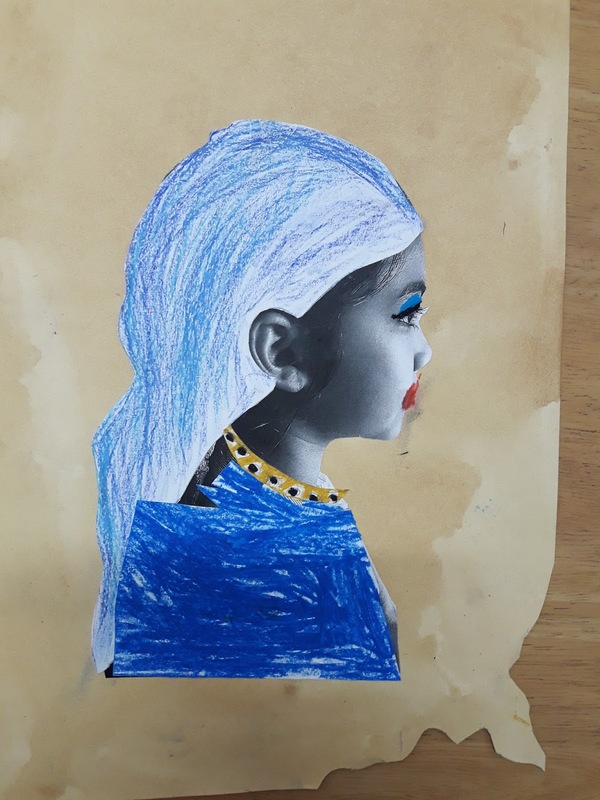 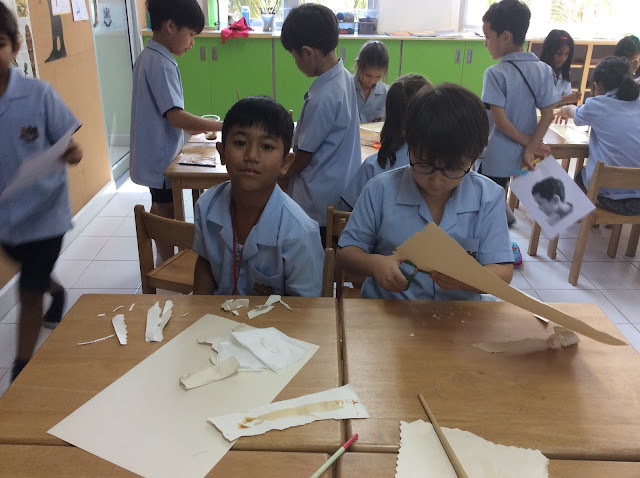 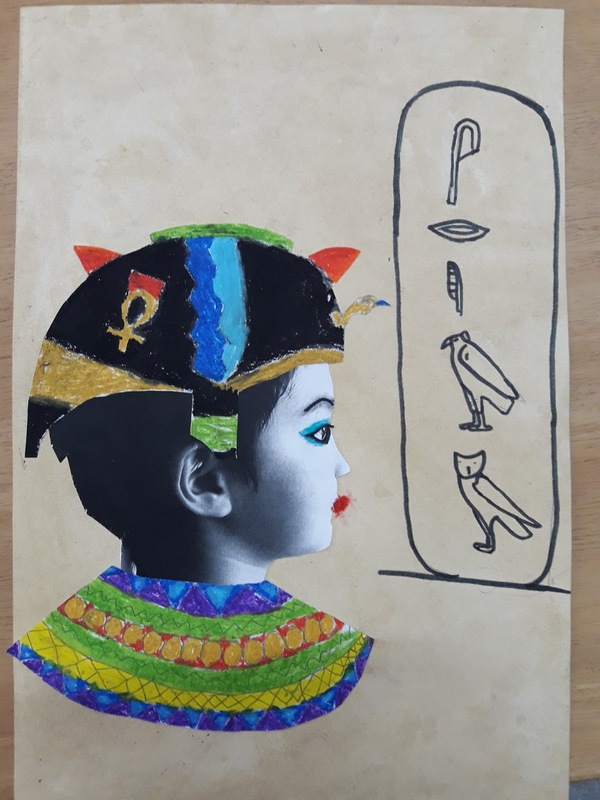 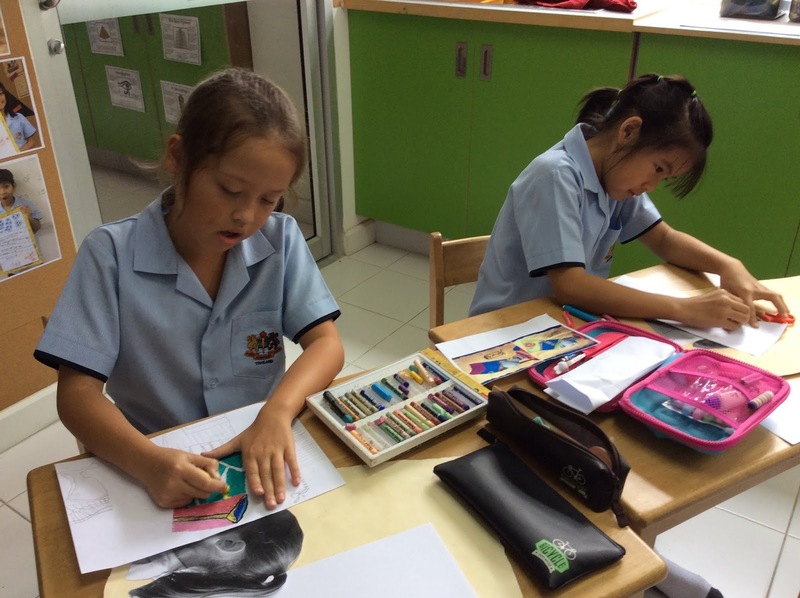 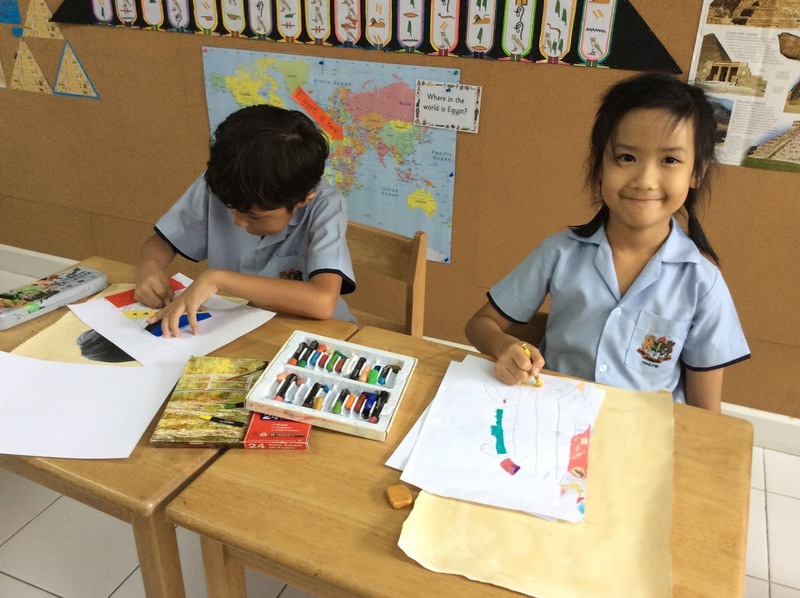 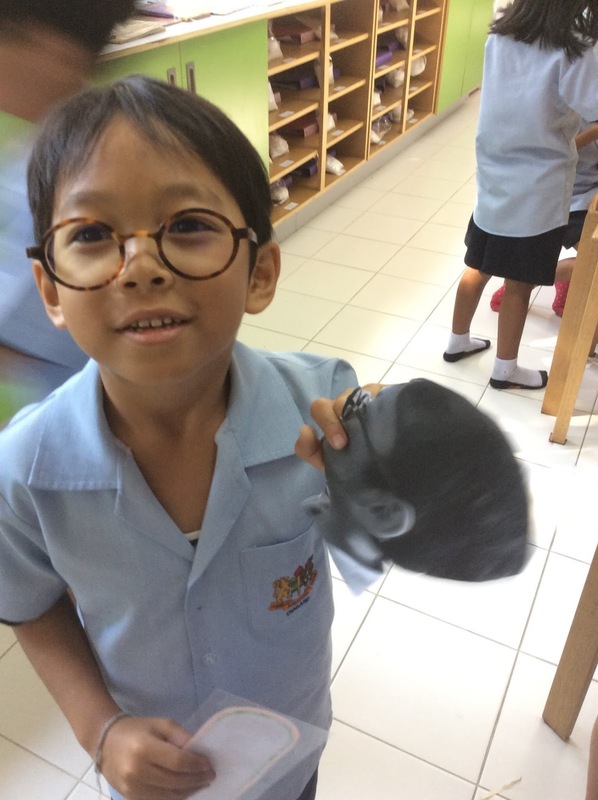 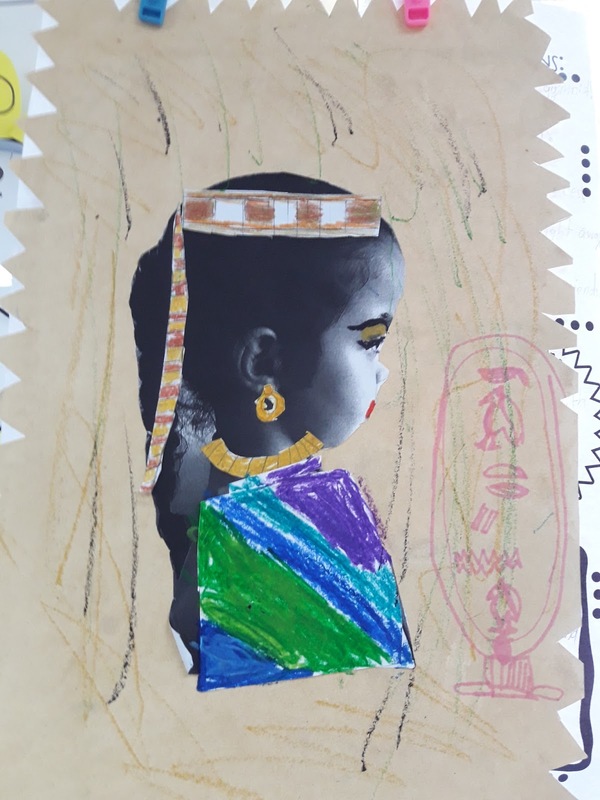 In this awesome art project, we transformed ourselves into Egyptian Pharaohs, soldiers, merchants, scribes and other types of people from Egyptian society. 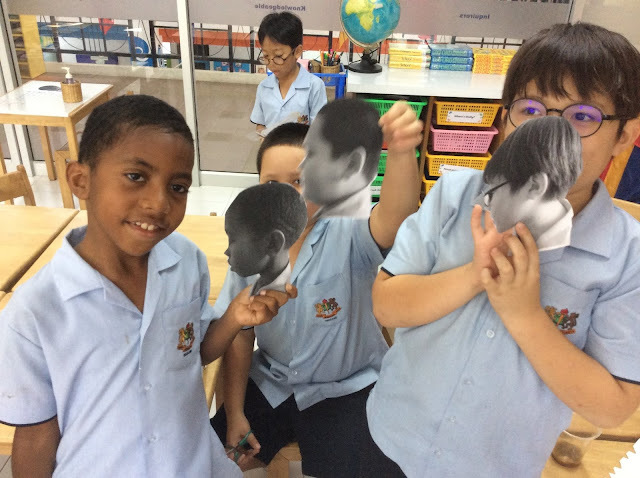 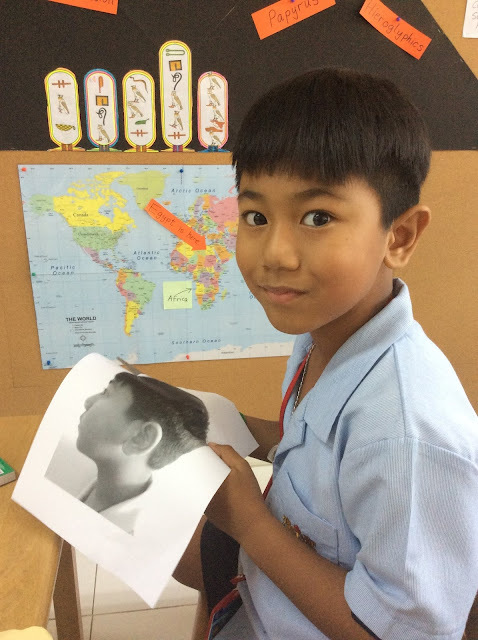 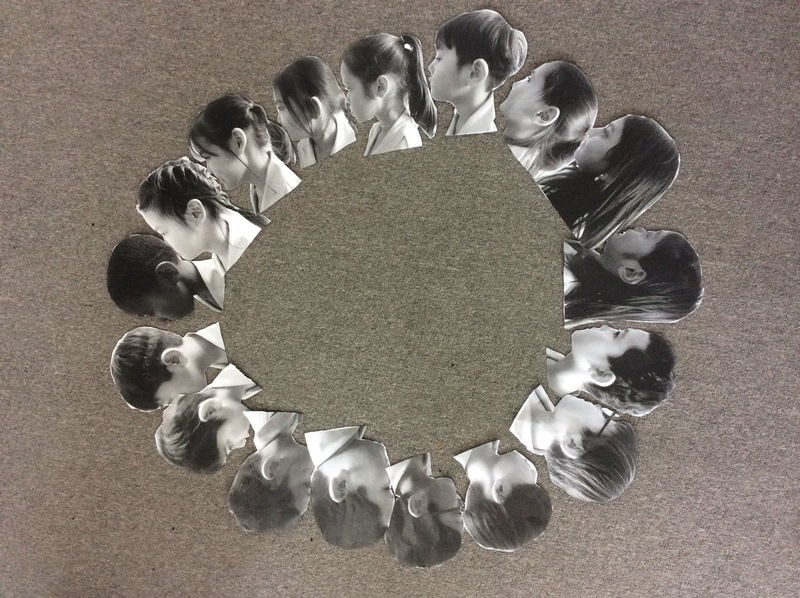 We began by having a side-profile photo taken of our head. 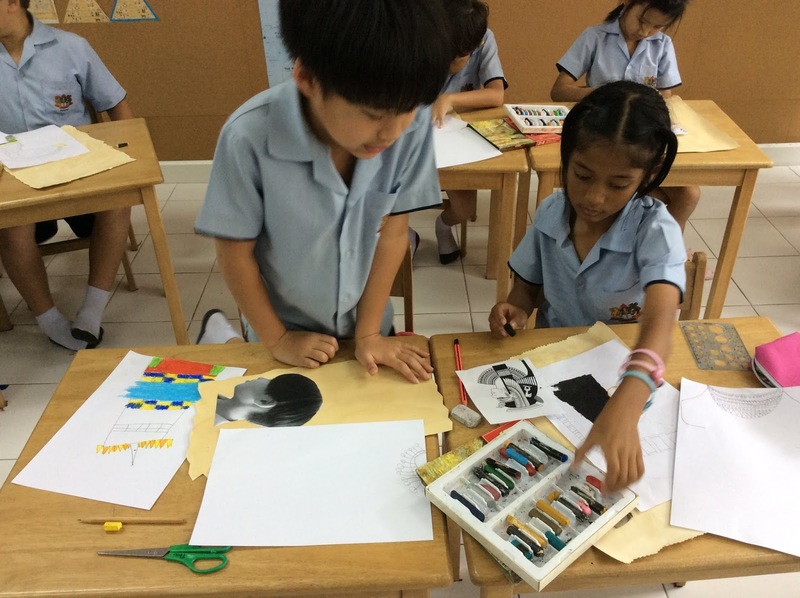 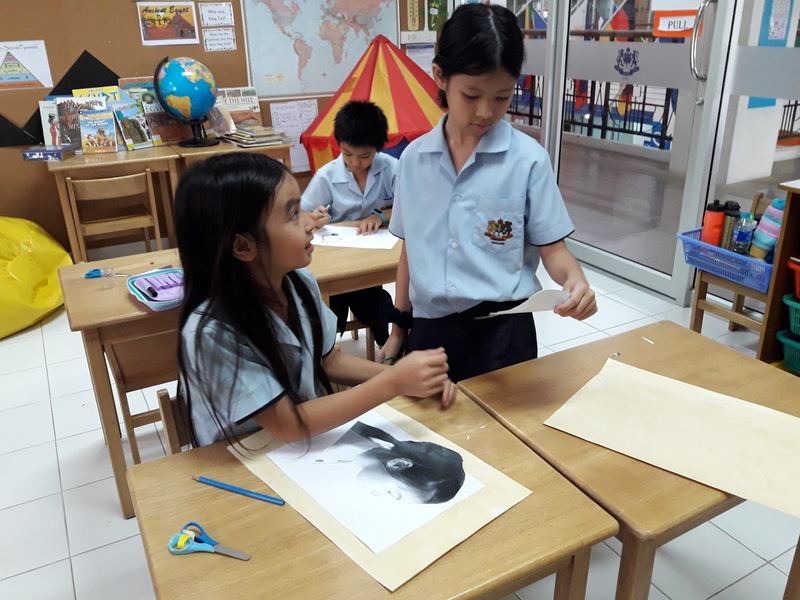 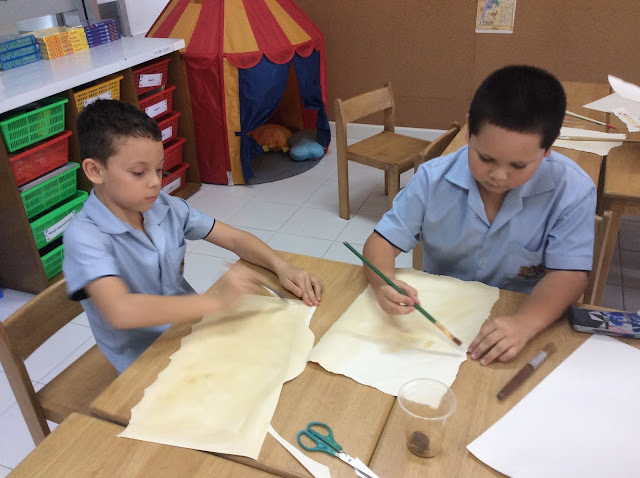 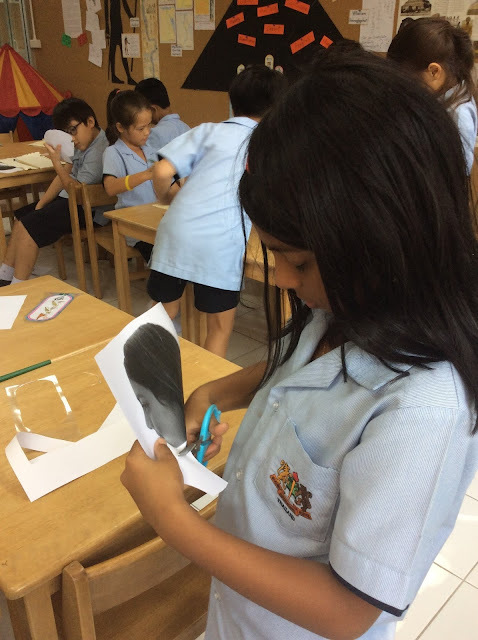 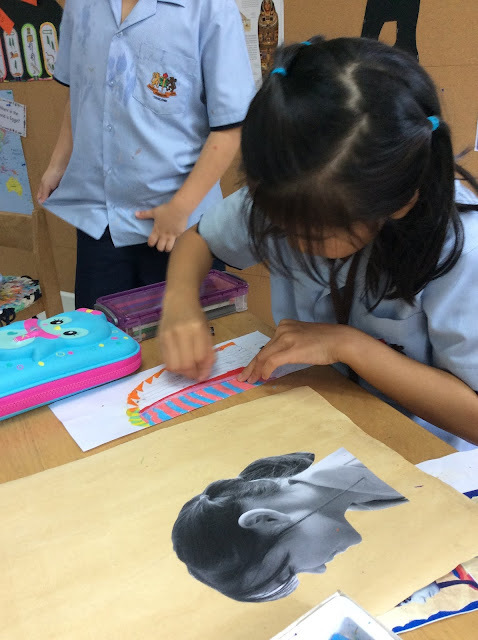 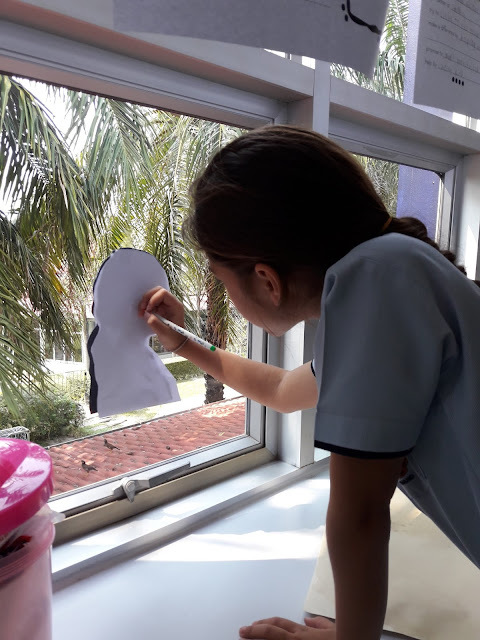 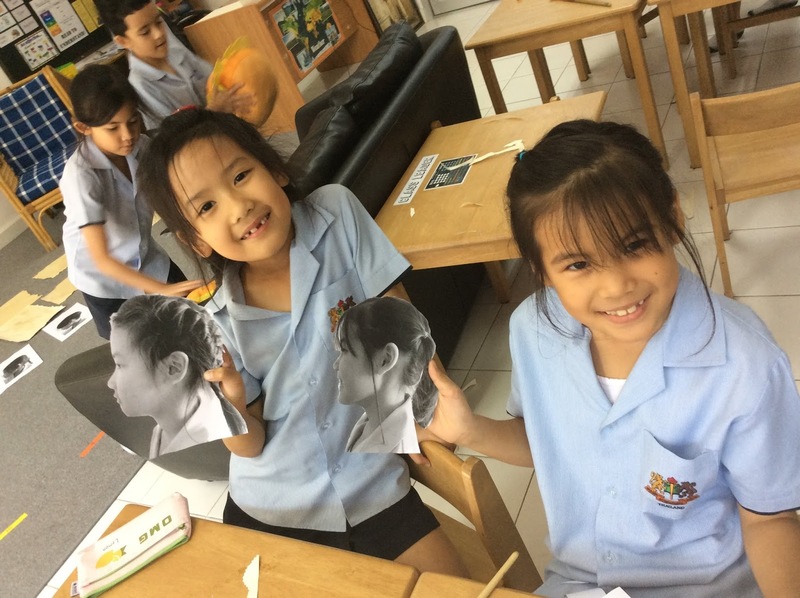 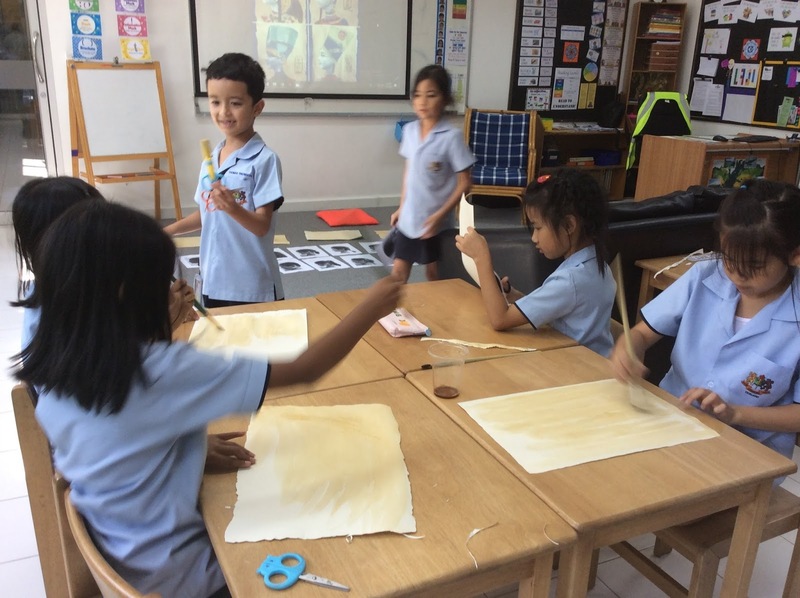 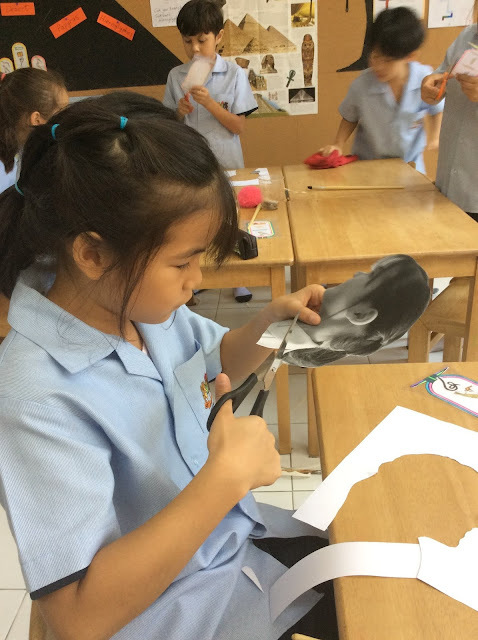 We then cut out our profiles and stuck them onto our 'papyrus' paper which we made by staining regular paper with tea and coffee. 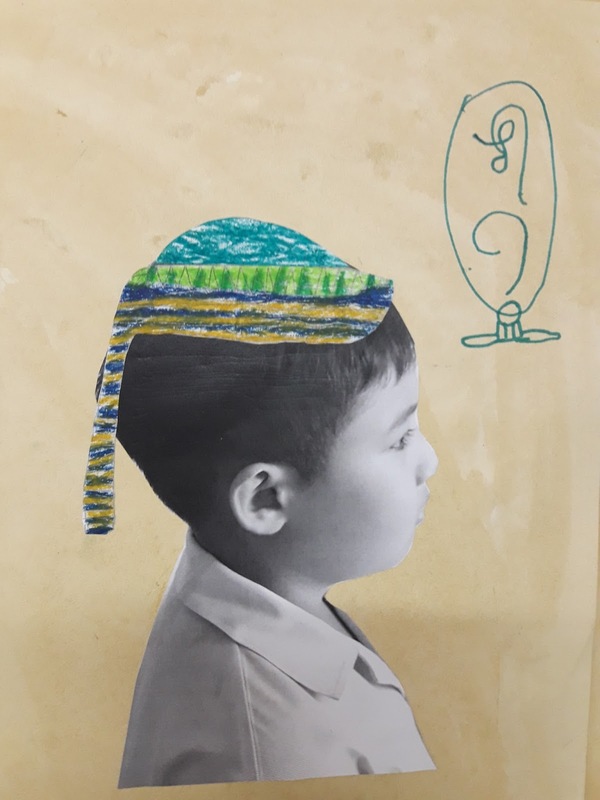 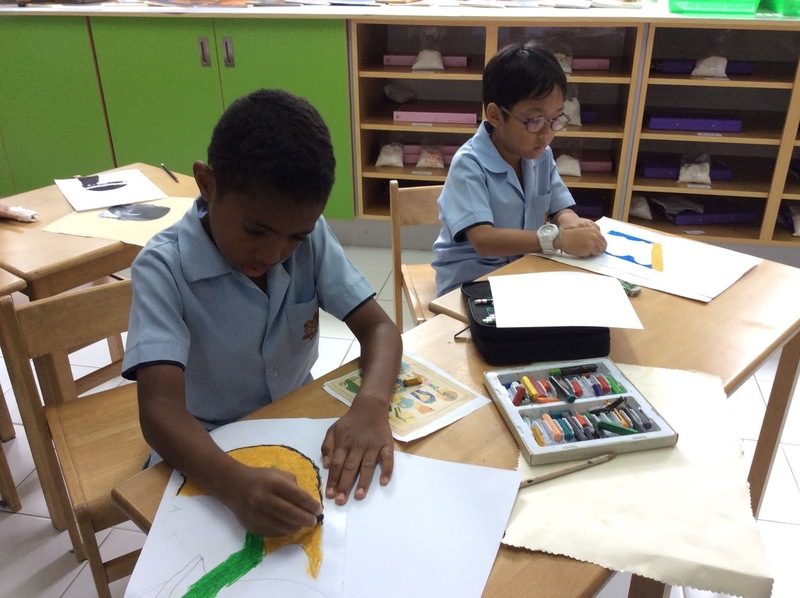 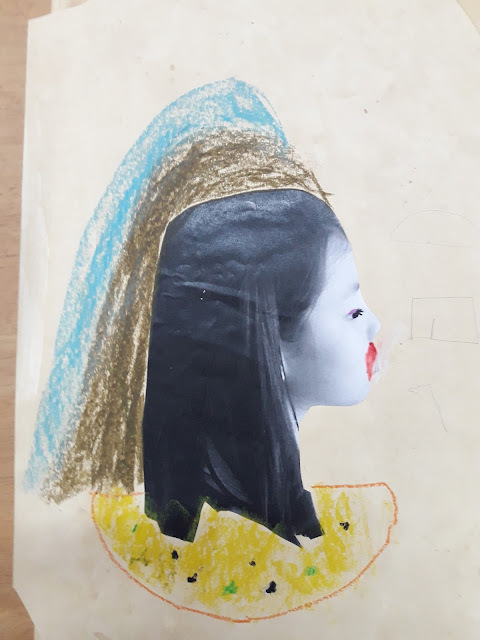 Following this, we designed our own head-dress and clothes to fit, then coloured them in with pastels and stuck them onto our profile. 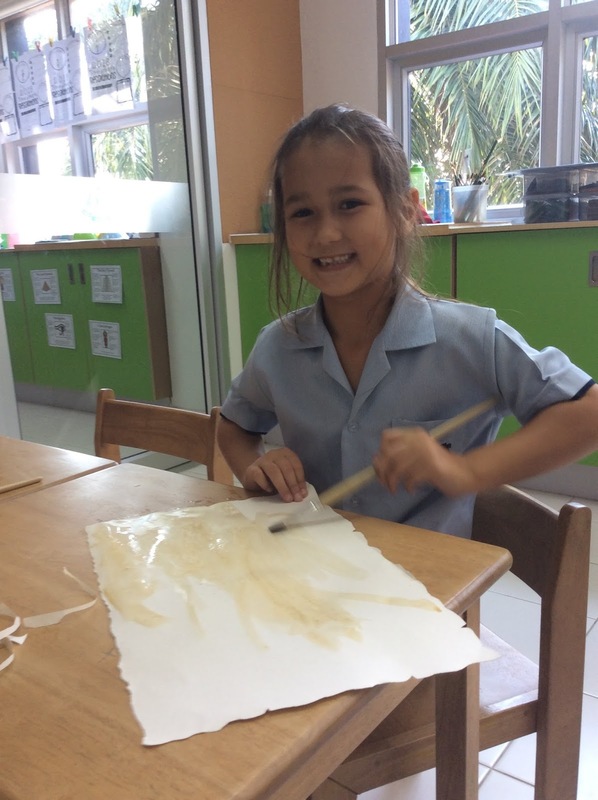 We paint the paper with green tea.